This protein-rich smoothie recipe made of soy protein, blueberries, and pear will give you energy and much needed nutrients to recover from heavy workout. 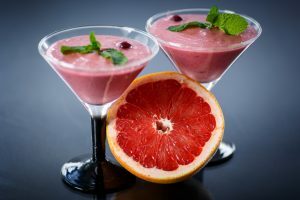 A low-calorie pink smoothie that is made of grapefruit, cherry, pear, and skim milk. Drink this smoothie if you want to lose weight or maintain healthy weight. 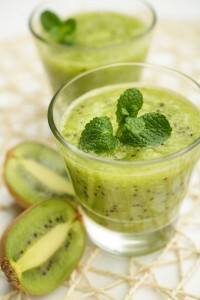 A low-calorie green smoothie that is made of broccoli, kiwi and pear. Drink this smoothie during mornings to boost your energy without having to worry about gaining weight.